We’ve written quite a bit recently on writing a blog for your wedding business and the benefits. So now we’re looking for the best examples of blogs written by wedding businesses. 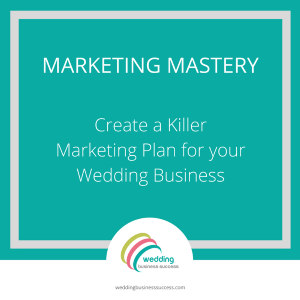 What makes a great blog for a wedding business? The best blogs are interesting, informative and also add real value to the business – by engaging customers and prospects, showcasing skills and boosting search engine rankings. general wedding blogs which feature lots of different weddings unrelated to the business – we want to showcase the individual businesses who are using blogs really well as part of their marketing strategy. The blog needs to be associated with an actual wedding business supplying either products or services and not be a general wedding or business advice website. It needs to be written in English but can be from any country. For businesses which are not 100% wedding related, the blog content needs to have a significant wedding component but need not be exclusively about weddings. and remember to include a link to your nominated blog. We’ll be going through all the blogs and announcing our list of favourites sometime in December. All the chosen businesses will get a nice shiny badge to include on their blog. Wedding Blog Sponsorship – is it a good idea?